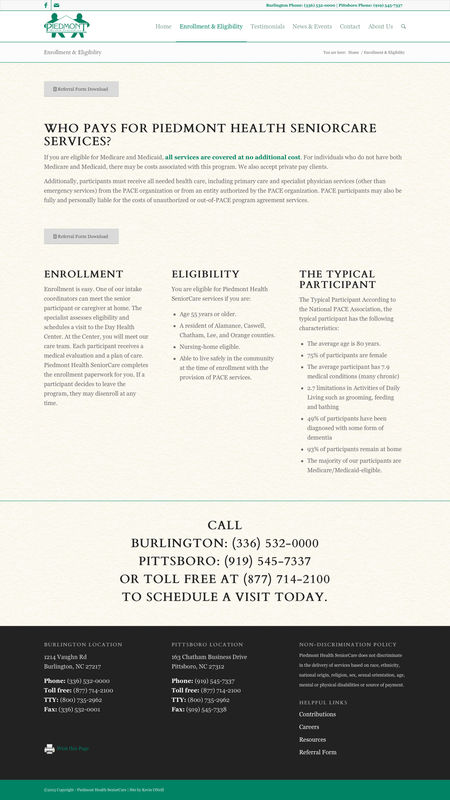 Who says Healthcare has to be boring? 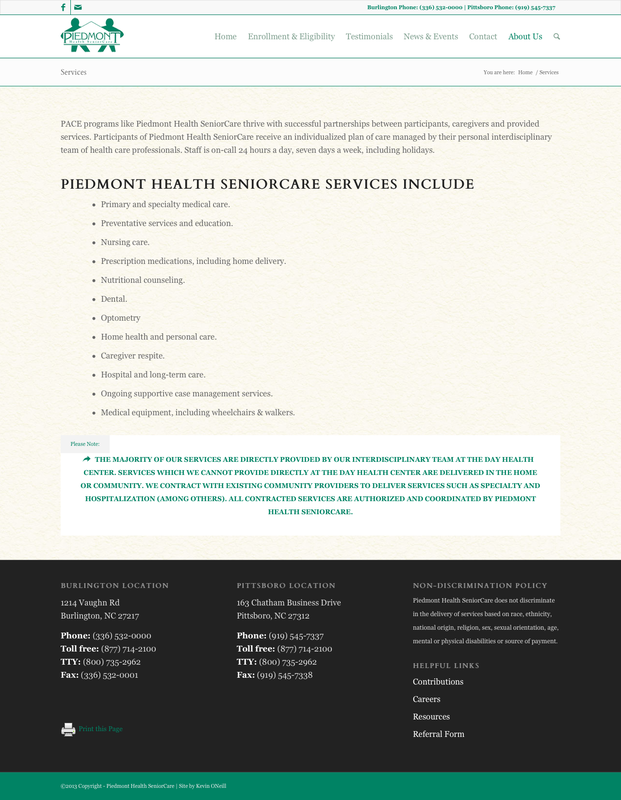 Piedmont Health SeniorCare didn’t think so. 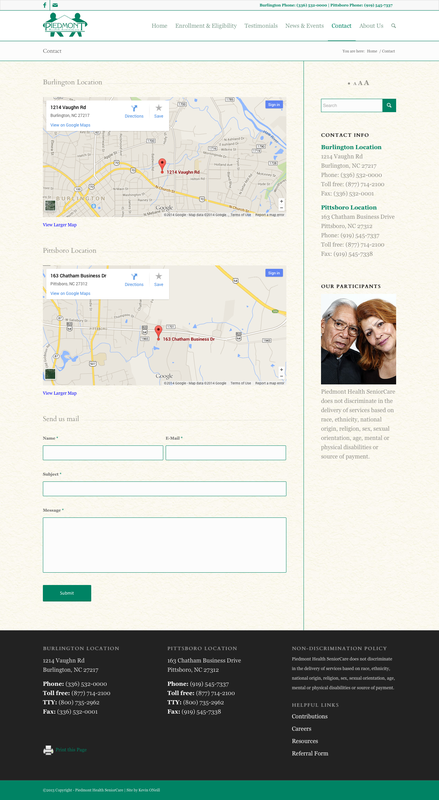 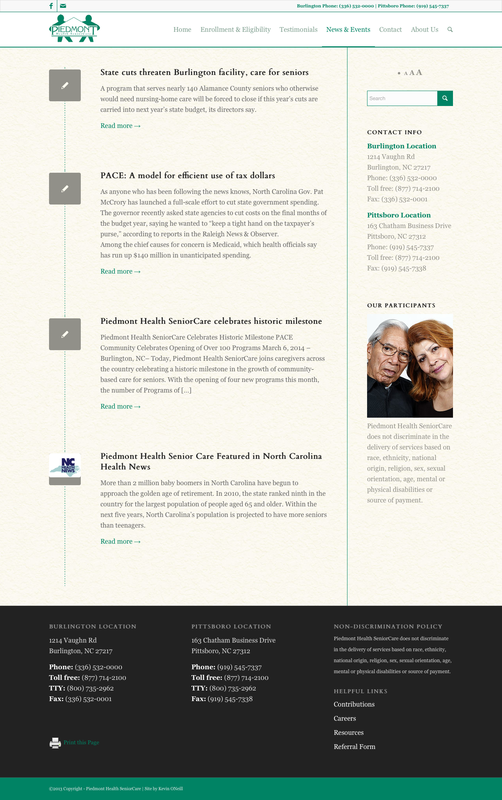 They have a dynamic program for the elderly and needed a site that reflected it. 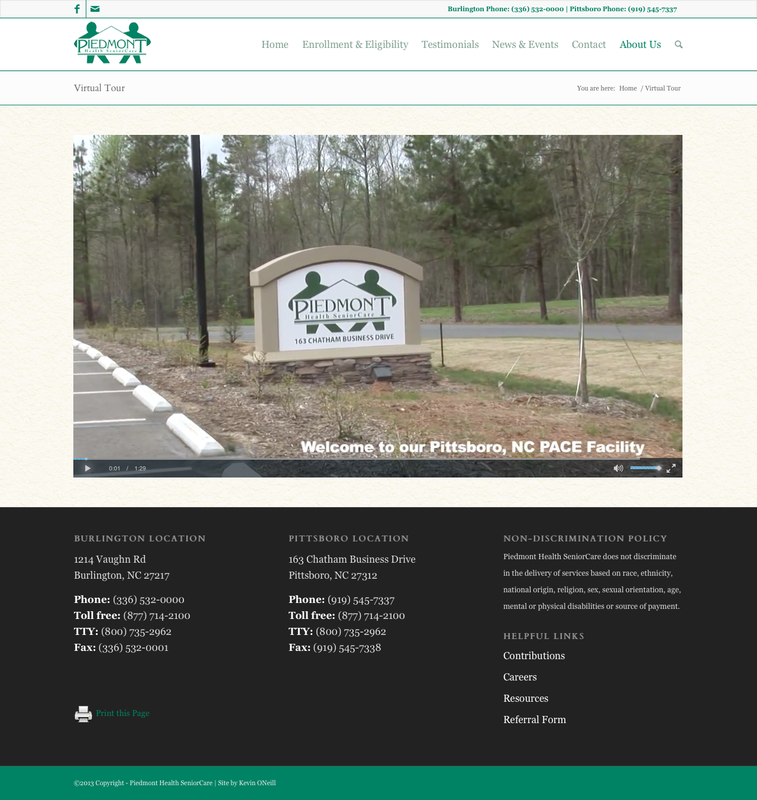 The project called for a site that was user-friendly, easy to maintain and inline with the re-branding they had just gone through. 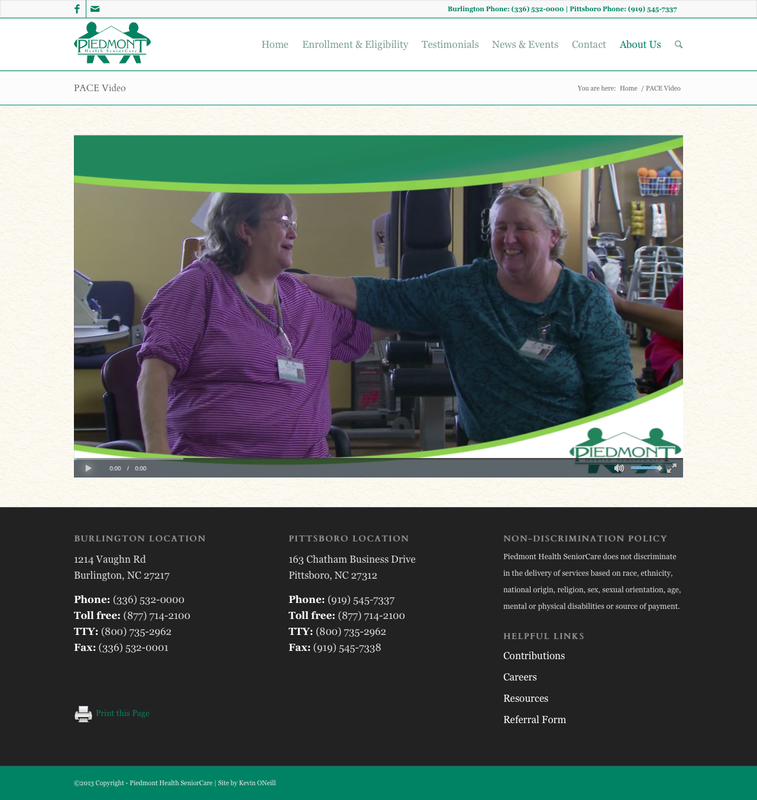 Further requirements were for a responsive website that could integrate videos easily. 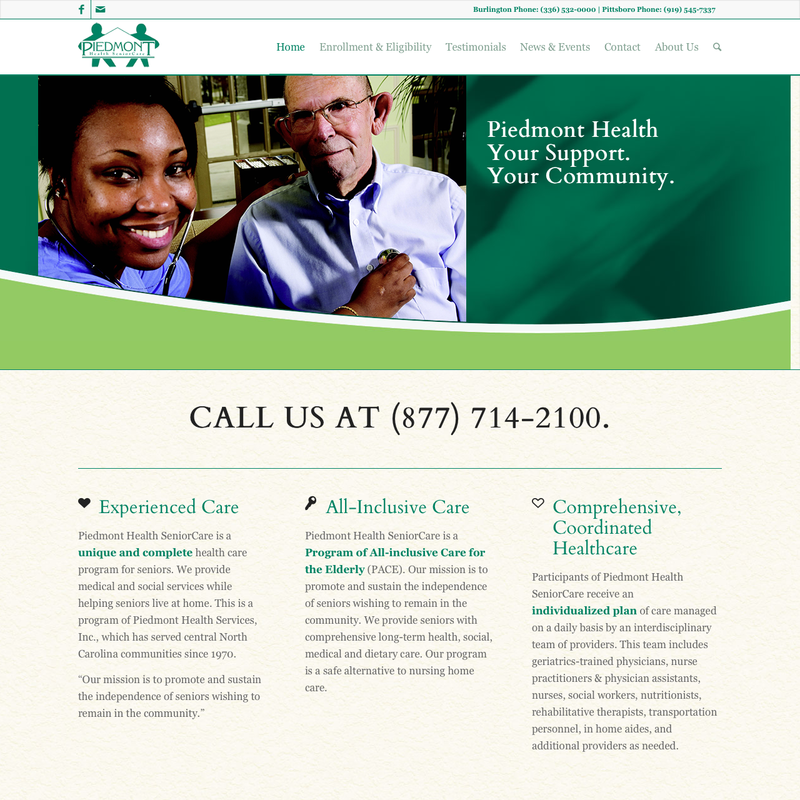 The new Piedmont Health SeniorCare website achieved all the objectives plus a few more.